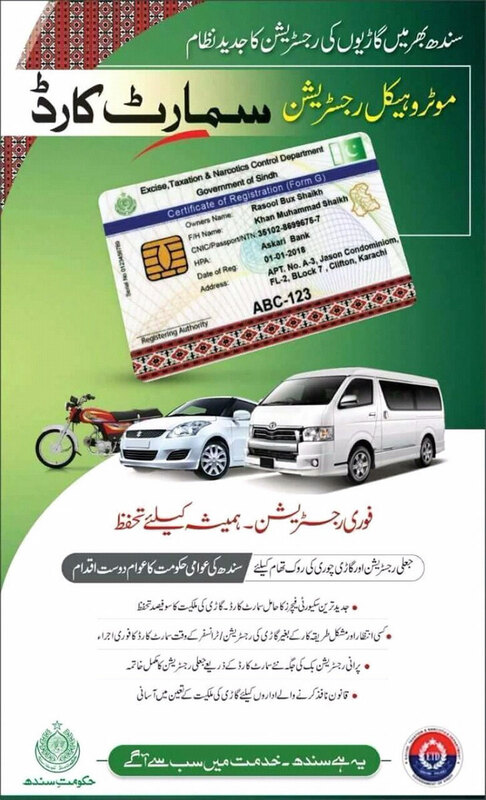 Sindh government has introduced security featured Motor Vehicle Registration (MVR) smart card for vehicle registration to ensure authentic registration of vehicles. MVR Motor Vehicle Registration Smart Chip Card. 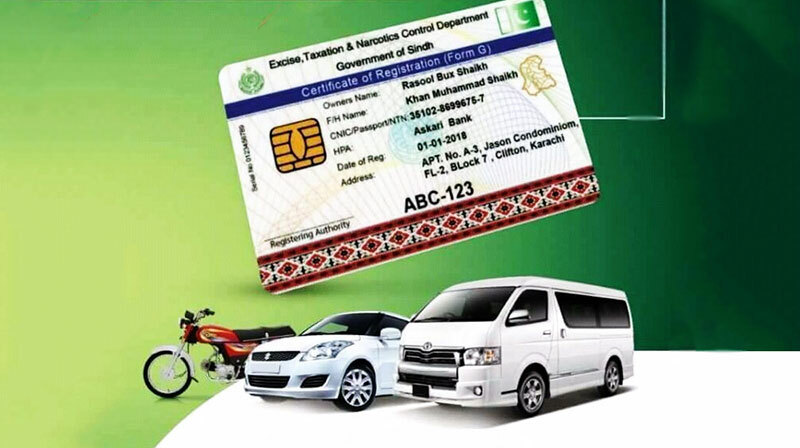 On 14th May 2018, Sindh Minister for Excise and Taxation Mukesh Kumar Chawla introduced the smart cards to eliminate forgery in transfer and registration of vehicles. MVR Motor Vehicle Registration Smart Chip Card. Syed Murad Ali Shah, Chief Minister Sindh also appreciated the step of introducing the MVR smart card for verification of the vehicles and asked the excise department to introduce such measures for motorcycles registration as well as a large number of street crimes were committed by the bikers. MVR Motor Vehicle Registration Smart Chip Card. In the first phase, those who get their vehicles transferred or register first timer would get benefit of it with a nominal fee; however, old owners can also avail this service by getting their vehicle registered through smart card. The MVR smart card, which is easy to carry, will be equipped with a sim module chip, containing all information of the vehicle as well as basic information of the vehicle owner. MVR Motor Vehicle Registration Smart Chip Card. On the occasion Home Minister Sohail Anwar Siyal, Information Minister Syed Nasir Hussain Shah, Minister for Population Welfare Mumtaz Khan Jhakrani , Secretary Excise and Taxation & Narcotics Control Abdul Haleem Shaikh, Director Generals ET & NC Shabir Ahmed Shaikh, Shoaib Ahmed Siddiqui and others were also present.